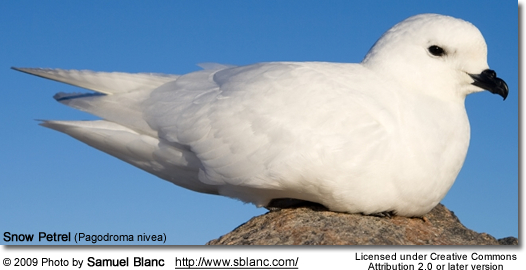 The common name does not indicate relationship beyond that point, as "petrels" occur in three of the four families within that group (except the Albatross family, Diomedeidae). Having a fossil record that was assumed to extend back at least 60 million years, the Procellariiformes was long considered to be among the older bird groupings, other than the ratites, with presumably distant ties to penguins and loons. However, recent research and fossil finds such as Vegavis show that the Galliformes (Pheasants, Grouse and relatives), and Anseriformes (ducks, geese) are still not fully resolved. 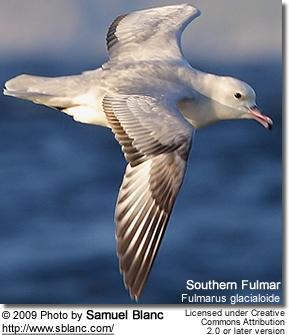 All the members of the order are exclusively pelagic (open sea) in distribution — returning to land only to breed. 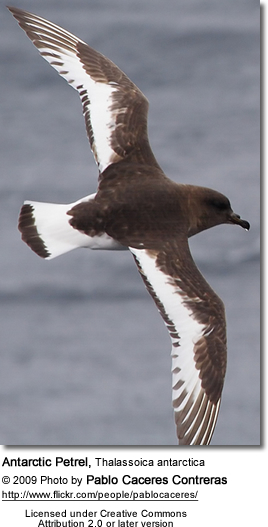 The fulmarine petrels: 7 species of surface predators and filter feeders, breed in high latitudes but migrate along cool currents to the north. All but Fulmarus essentially confined to the south, Fulmarus apparently colonised the N hemisphere during the Early Miocene. 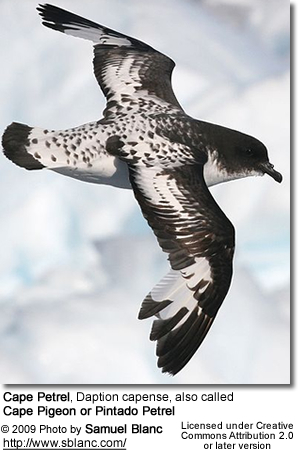 shearwaters: numerous species in several genera with a medium number of species. 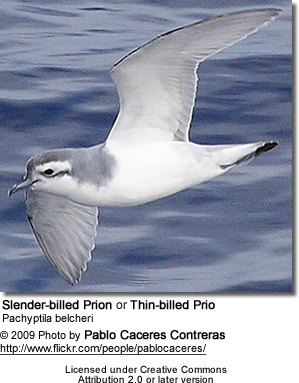 The family Hydrobatidae is the storm-petrels, small pelagic petrels with a fluttering flight which often follow ships. The word "petrel" comes from the Latin name for the Christian Saint Peter, and refers to the habits of certain species to hover just above the ocean waves, with their feet barely touching the water, thus giving an appearance of walking on water, as St. Peter is said to have done.